Maintenance management software users are found anywhere equipment is maintained. This includes manufacturing and food-processing (58%), facilities maintenance (25%), hospitals (4%) , colleges and schools (4%), power-generation (3%), municipalities (5%) and many more equipment maintenance operations in 40 countries. Quick & Easy Download and Demo! Fifty-two percent (52%) of our software users are manufacturers. This manufacturing CMMS software is used in: plastic industry, steel industry, medical devices, automotive industry, electronics, computer chip manufacturers, fertilizer, textile industry and many more. 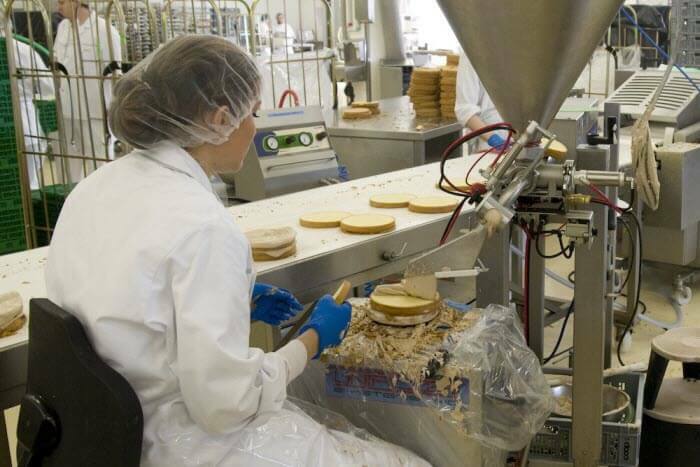 Some of our biggest maintenance management software users are in the food processing industry. We have numerous bakery CMMS software users. Others include meat packing, poultry, canneries, packaged foods, beverage, and more. Bush Bros. Beans and Bimbo Bakeries are long-term users of our CMMS software. Numerous hospitals use our maintenance management software package successfully. Additionally our web work request module augments the enterprise CMMS software by providing access to all users within the hospital maintenance environment. 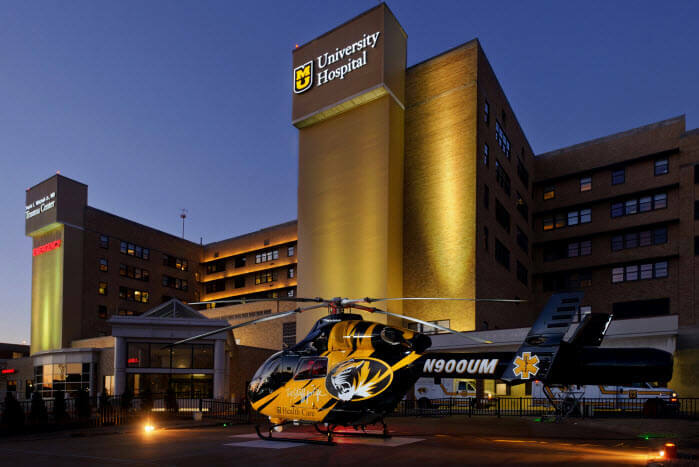 Some of our users are Cedar's Sinai Hospital, Ohio State University Medical Center, Kenyatta Hospital, Bradley County Medical Center and more. 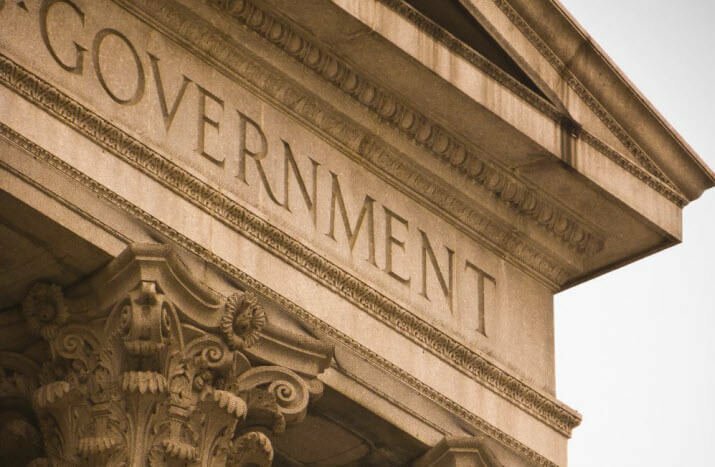 This maintenance management software is used by municipalities and other government entities. Applications include public utilities, facility maintenance, security system maintenance and armed forces equipment maintenance. Some of our users include: NASA, West Point Military Academy, various public works and public hospitals. Having a reliable maintenance management software is especially important for critical operation such as power generation. Additionally the value of the equipment demands a proven CMMS software system for managing maintenance in the power generation industry. 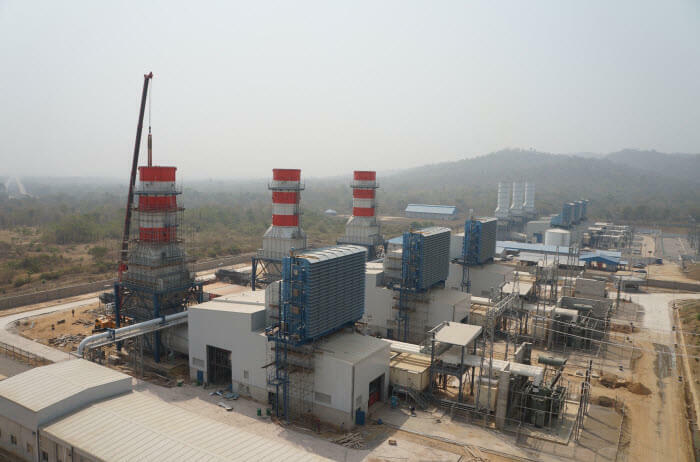 Perhaps this is why the United States Department of Energy along with another nationally respected consultant chose MaintSmart CMMS software for their 40 gas- powered electric turbine power plants for the country of Iraq. Facility maintenance management software for building and other facility maintenance management provides preventive maintenance tasks and procedures essential to maintaining infrastructure and equipment. 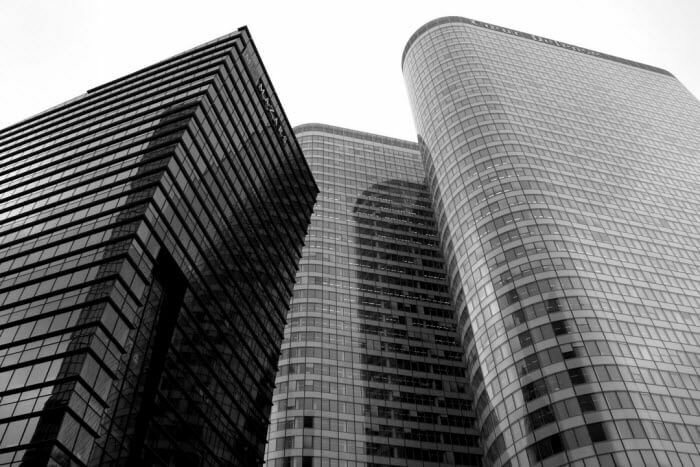 Many resorts, hotels, high rise office buildings and public building use this CMMS to manage equipment maintenance. Contact us for referrals. By using our user-defined equipment hierarchy (simply ways to group equipment) this CMMS software system fits any industry or organization where equipment is maintained. Contact use for a free personalized demonstration of any of the following or we can configure your equipment during the demo so you can see how this CMMS will work for you. This system is used by single user applications up to hundreds of concurrent users is some of the largest companies in the world. The fact that MaintSmart may be translated into any language makes our CMMS popular worldwide. 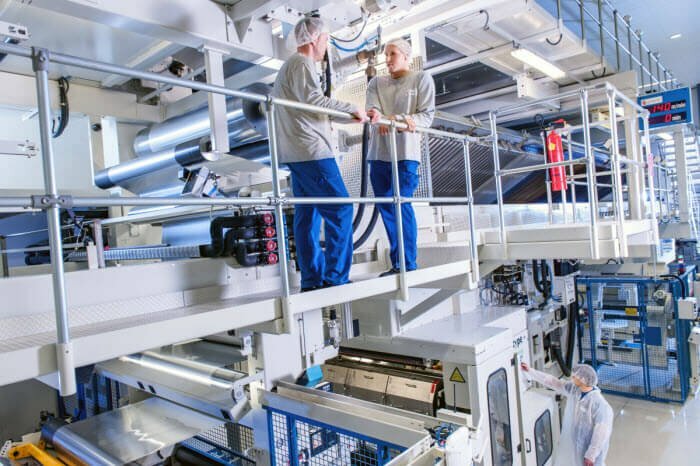 Additionally, the three-dimensional equipment hierarchy is unique in CMMS systems.The three-dimensional equipment hierarchy provides multiple unrelated ways to filter, analyze and report on your equipment. This leads to greater flexibility is work assignment and helps the maintenance manager locate problem areas with greater accuracy in less time. Configure up to one thousand top-levels ('Plant', 'College', 'Company', etc.) each having there own separate data yet all being available to managers for comparison. 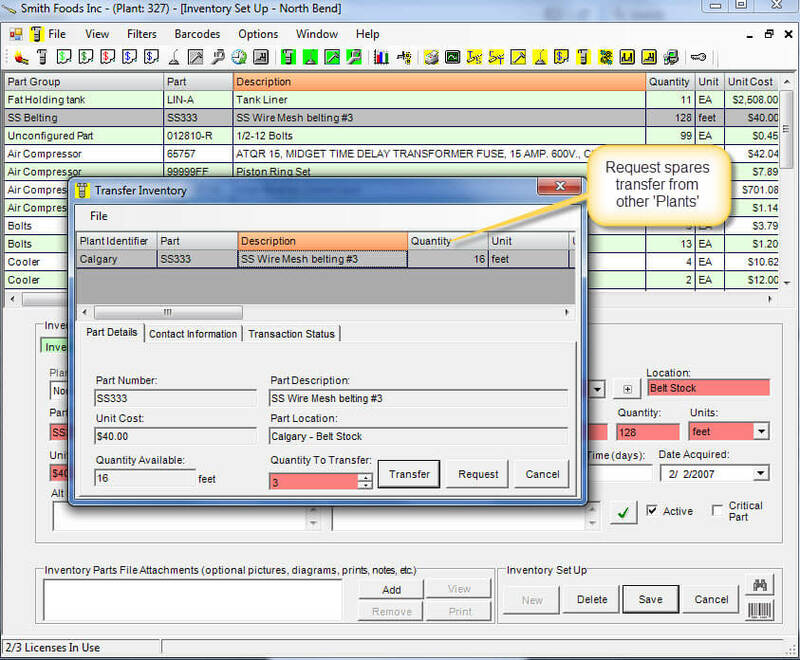 For situations where multiple locations are managed the inventory (spares) transfer or Transfer request (depends upon user permissions) helps locate needed parts quickly then request them from an alternate location. 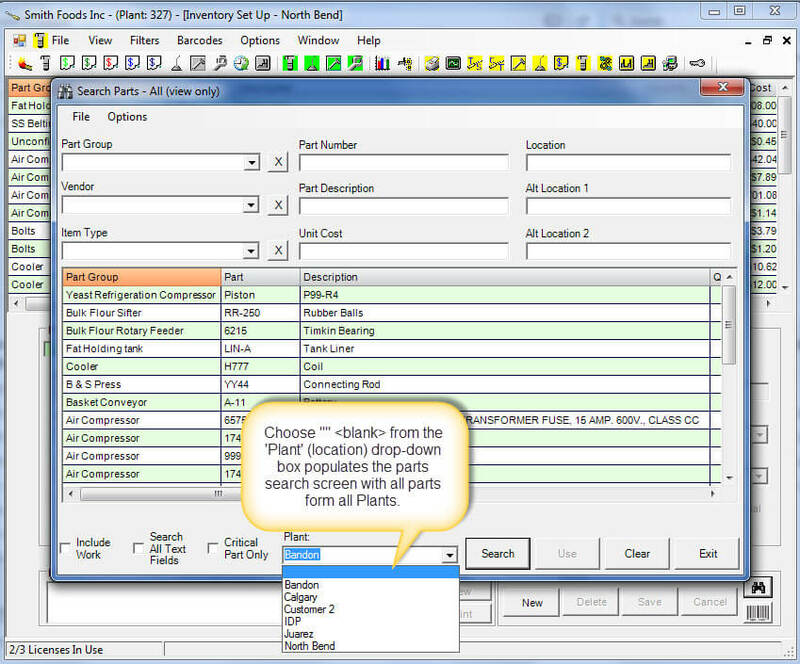 In the case where multiple plants are contained in one database the software has the ability to search all Plants (locations) parts stock from one screen. MaintSmart's unique three-dimensional equipment hierarchy provides a simple way to group your equipment in a way that fits your specific maintenance operation. For example group equipment by physical location (example: "Building #1") and the same equipment by a functional location (example "Line #2"). Free help documents and videos? All suggestions and comments are welcome! Ability to connect to PLCs and HMIs through OPC compliant network. Overall equipment effectiveness (OEE) drives industrial plant success. AMSAA military standard reliability analysis optimized machinery preventive maintenance task lists. Extensive down time (equipment failure) analysis guide maintenance manager to trouble equipment and solutions. MaintSmart Software, Inc., 66164 Homestead Rd., North Bend, OR, 97459 U.S.A.